On October 19, Amazon received 238 proposals from cities and regions in 54 states, provinces, districts and territories across North America, all vying to be the home of HQ2, the $5 billion, 50,000-employee co-headquarters the company wants to build over the next two decades. A decision is expected sometime in 2018. Bidders were asked not to divulge details of their proposals, but information has leaked out about many of them. Baltimore officials held a news conference at the waterfront site they’re touting, saying, “This must be the place.” The District of Columbia identified four possible locations and created a hashtag: #ObviouslyDC. 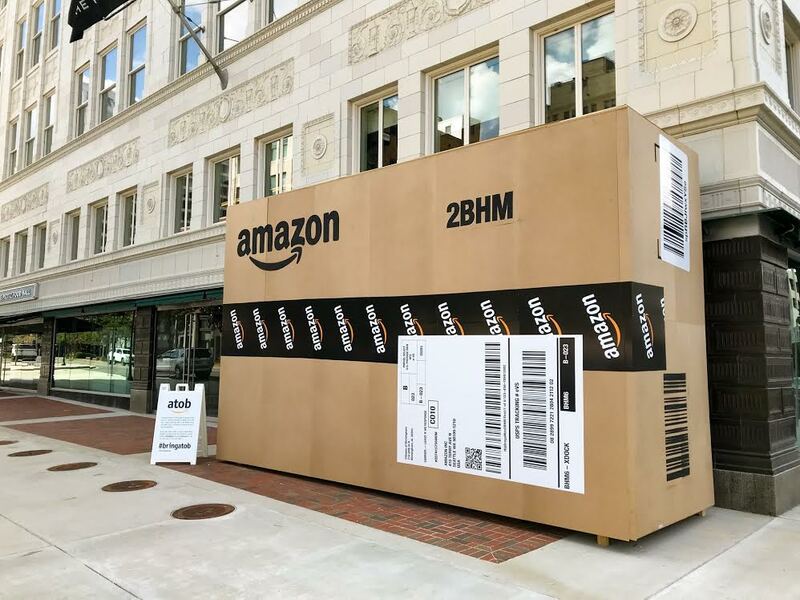 Birmingham, Alabama placed giant Amazon packages all over town. New York City lit up the Empire State Building and other landmarks “Amazon orange.” While much of the news coverage has focused on some of the more publicity-seeking stunts by cities and locales, it is worth sifting through the news to consider how the urban landscape is being imagined and parceled off for a single corporate giant. Some bidders don’t meet Amazon’s criteria for consideration, such as having a metropolitan area of at least one million people or zoning to build up to 8 million square feet of office space. Others are making strong cases for why they should be chosen by combining their forces with other locales. Overall the bids reveal a glimpse of how seriously some cities are taking the chance to host Amazon, and what they believe the strengths of their metropolitan areas are. Some cities put all their eggs in a single basket, offering up a single site within their city boundaries. Baltimore offered the 235-acre Port Covington redevelopment area south of downtown. An independent citizens’ group offered a second site in midtown Baltimore, including land currently occupied by the state penitentiary, a proposed Innovation Hub, and State Center, a government office complex. Dallas extended a transit-oriented development surrounding a proposed $15 million Hyperloop terminal that will run between Dallas and Houston. 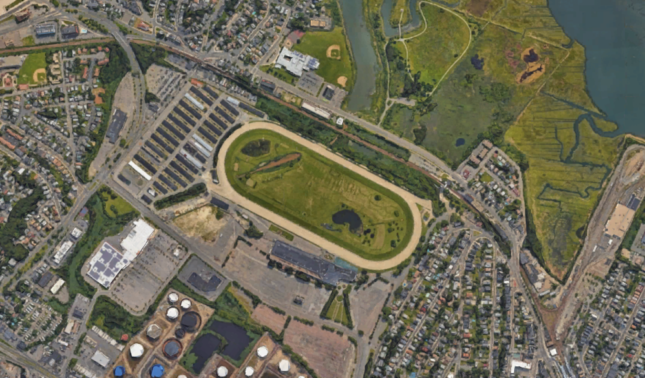 New Jersey offered an 11.5–acre riverfront site in Newark as well as tax breaks worth up to $7 billion. Practice for Architecture and Urbanism would be the master planner for the project, working with Michael Green Architect, TEN Arquitectos and Minno & Wasko Architects and Planners. Surprise, Arizona, the Grand Canyon State’s “newest emerging city,” made an unlikely bid for the Amazon project by offering 100 acres of prime downtown real estate, Bizjournals reported. Offering big city amenities but also a “blank canvas waiting to be painted,” the municipality west of the Phoenix metro area boasts sports training facilities for national teams, a college stadium that hosts professional football games, and a foreign trade zone already being developed by international corporations. The bid sets aside the 100-acre site beside its civic center with the intention of having Amazon “help to create the culture of downtown.” In case Amazon isn’t content with creating a new downtown from thin air, the municipality also offered up the suburban town of Prasada nearby that also has 100 acres of vacant, highway-adjacent land that can be used. Surprise joins Phoenix, Mesa, Chandler, Tempe and Tucson, Arizona as cities making bids for the HQ2 project in the state. Other cities proposed a range of sites, suggesting that their cities were more than equipped to handle the space and tech needs of a headquarters like Amazon. Washington, D. C. proposed four locations for Amazon HQ2: the Anacostia Riverfront, Capitol Hill East; Shaw-Howard University, and NoMa-Union Station. Another promising site would have been the RFK stadium property, but as a federally owned property, leasing terms require that the land be used for sports and recreation, so it wasn’t offered. New York City identified four potential sites: Midtown West, Long Island City, the Financial District and the Brooklyn Tech Triangle, which includes DUMBO, the Brooklyn Navy Yards and downtown Brooklyn. Philadelphia proposed three locations: Schuylkill Yard, uSquare and the Navy Yard. 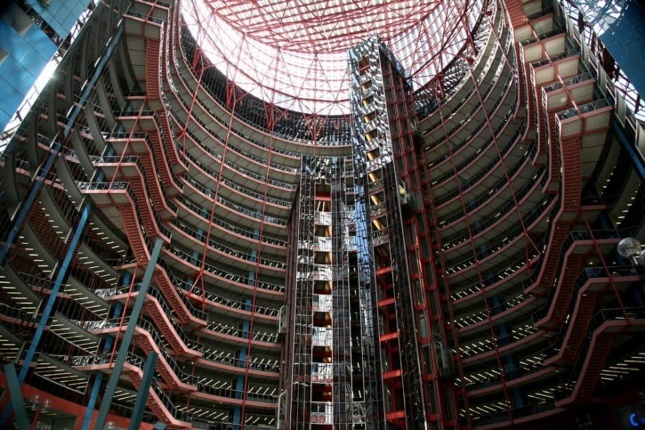 Chicago offered 10 potential sites and an incentive package that could be worth $2 billion. The sites are the “Downtown Gateway District,” which includes space in the Willis Tower and the Old Post Office; the endangered Helmut Jahn-designed James R. Thomson Center; two separate sites along the Chicago River’s North Branch; the now booming Fulton Market in the city’s West Loop neighborhood; the Illinois Medical District; a 62-acre site along the Chicago River’s South Branch; the now vacant site of the former Michael Reese Hospital in Bronzeville, and two sites outside of the city at the former Motorola global headquarters in Schaumberg and the soon-to-be former McDonald’s headquarters in Oak Brook. Huntington Beach and Long Beach in California offered three sites: the Boeing campus in North Huntington Beach, the World Trade Center in Long Beach, and a site next to the Long Beach Airport. Another set of cities, perhaps due to their size, offered a regional package, either by applying to be part of a regional headquarters or teaming up with nearby cities and even across international borders to put together an offer. Omaha, Nebraska does not meet many of the company’s stated requirements, but it submitted a bid in the hopes that Amazon may choose to break up the project over multiple cities. If not, city leaders expressed the hope that their bid will be a chance to put the city in front of Amazon executives, and those of other tech companies, for the possibility of future investments. Missouri offered three sites: Columbia, St. Louis and Kansas City, with a Hyperloop transit system connecting all three. In Kansas City, Mayor Sly James purchased 1,000 items on Amazon, leaving reviews and product videos for many of them. Each review included not-so-coded language about the advantages of living and working in Kansas City. Buffalo and Rochester, New York, submitted a joint proposal offering the metro corridor between the two cities. The Buffalo-Rochester team highlighted the region’s contributions to technological research in many fields relevant to Amazon–among others, RFID technologies, drones, and software development. They also highlighted the corridor’s ties to businesses and universities just across the border in Canada. Detroit-Windsor, Michigan and Ontario, Canada teamed up to submit an international bid that presents unique opportunities for Amazon in terms of hiring and wages. Amazon would have more flexibility in building a staff with the option of hiring either Canadian or U.S. employees. There is also the possibility that Amazon could save on wages thanks to the exchange rate. Currently, one U.S. dollar is worth $1.26 in Canadian currency. Finally, another set of city bids crafted multi-nodal offers across multiple cities or scattered sites within city borders rather than proposing a single-site headquarters. In the San Francisco Bay area, the cities of San Francisco, Oakland, Richmond, Concord, and Fremont joined forces to make one bid. 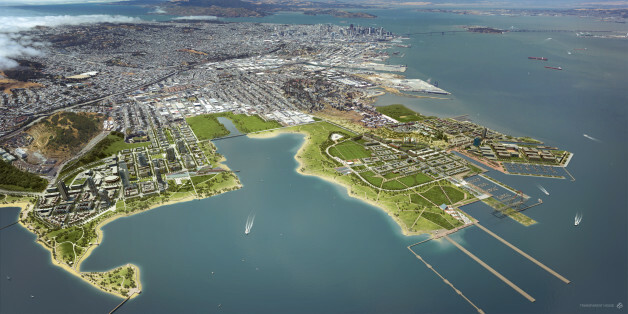 The San Francisco portion of the bid offers up the Candlestick Point and San Francisco Shipyard, a stretch of land called “Southern Bayfront” running down Mission Creek to Candlestick Park, and another area in the South of Market district for the development. In Oakland, the Uptown Station, 601 City Center, and Eastline Development sites are offered. Concord is providing the decommissioned Concord Naval Weapons facility, a 2,300-acre site includes 500 acres slated for a potential first phase of the project. Richmond is offering a new research and development facility on the University of California, Berkeley campus that could potentially serve as a brain hub for the tech giant. Fremont is offering a 28-acre parcel at a transit stop that is zoned for 1.8 million square feet of commercial development. The combined regional bid includes adding 45,000 housing units to the area. In Los Angeles, leaders with the Los Angeles County Economic Development Corporation are offering a dispersed, nine-site proposal. The specific sites have not been disclosed, but according to the Daily News, areas of the San Fernando Valley’s Warner Center complex, Cal Poly Pomona’s campus, and sections of Santa Clarita are up for grabs. Sites in Long Beach are also potentially included as part of the proposal. Colorado pitched what Governor John Hickenlooper described to 9 News as a “collaborative community that works to solve our own problems,” adding that with Colorado, Amazon would be “not just getting a site. They’re getting a community.” The proposal was generated by the Denver Economic Development Corporation, a private entity that works across the nine-county metropolitan area surrounding Denver. The bid involves eight sites across the state and an unspecified number of tax incentives, which Hickenlooper described as being “1/20th” the amount of incentives offered by other states and municipalities. Rather than jump through hoops to try and attract Amazon’s attention, Little Rock, Arkansas, took the opportunity both to graciously decline and promote itself. In a full-page ad taken out in The Washington Post, which is owned by Bezos, the Arkansas capital of 200,000 penned a “Dear John” letter to announce its intention not to place a bid. “Amazon, you’ve got so much going for you, and you’ll find what you’re looking for,” read the letter. While Little Rock was a long shot, unable to meet some of the company’s requirements, it’s also the home of one of Amazon’s largest rivals, Walmart. Arkansas was one of only seven states that did not have a jurisdiction bidding for the new headquarters. The others are Hawaii, Montana, North Dakota, South Dakota, Vermont and Wyoming. Additional reporting for this article was provided by AN editors Matthew Messner, Antonio Pacheco, and Jackson Rollings.